Royole’s foldable phones are already available in China and LG, Motorola, OPPO, vivo Lenovo and Xiaomi have foldable handsets in development, while Samsung’s foldable smartphone will be announced at MWC, this month. But a bit of doubt about their potential to become mainstream remains. Several mobile devices attempting to popularize a foldable design have teased before consumers, but there has yet to be one achieving widespread acceptance. Arguably the most obscure of the bunch was the NEC Medias W that never saw the light of day outside of Japan. Featuring dual 4.3-inch qHD displays, which utilized a hinge to fold over the two displays side-by-side to one another. Not only did it offer the convenience of extra real estate to surf the web, but also allowed users to interact with the app on one display – while the other can be used as a keyboard. 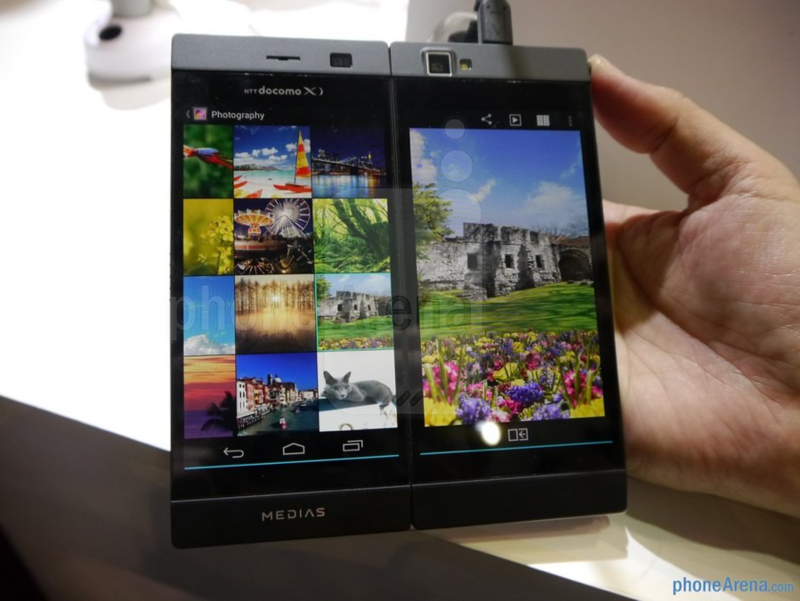 Released in 2013, the NEC Medias W wasn’t a shabby job for a foldable phone, but it was thick when closed because it was two smartphones rolled into one, but it offered just about the same utility that any other smartphone offered at the time. The main problem, however, was that the interface wasn’t optimized to take advantage of the dual displays. This isn’t just isolated to the NEC Medias W, but it was and has continued to be a challenge for manufacturers going for the foldable phone. ​In late 2017, the ZTE Axon M was an evolution to the foldable smartphone design. The design wasn’t too far away from the NEC Medias W, since it also employed dual displays held together by a hinge – allowing them to come together side-by-side with an even skinnier bezel in between the two displays. Unlike NEC’s offering, the ZTE Axon M benefitted from Android’s advancements that enabled side-by-side apps multitasking. Many apps were optimized to run simultaneously, so the two displays allowed for dedicated apps to run on them. 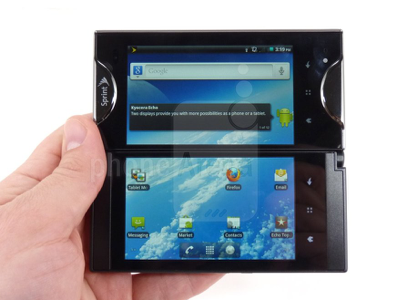 However, it failed to deliver a practical experience for a smartphone that transforms into a mini tablet of sorts. ​In 2012, Sony delivered what some paint as one of its quirkiest devices ever to be released – the Sony Tablet P. At first glance, it seemed like they produced a clutch bag or something because of its shape and size, but it was in fact a foldable tablet that featured two 5.5-inch 1024 x 480 LCD panels. It was an ambitious offering by providing an optimized layout with many native apps. Even better, the Sony Tablet P was PlayStation certified, which allowed you to playsome old PlayStation games. The top display showed all the action, while the bottom one featured the on-screen controls – giving users an unobtrusive view of the game. However, the Tablet P was quickly forgotten because it was notoriously choppy with its performance, it shot terrible looking photos and videos, and the battery life was atrocious. 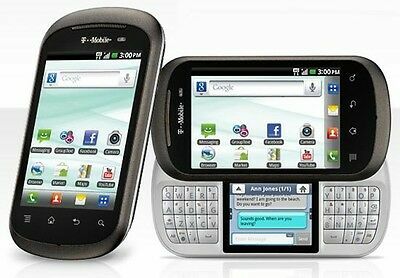 LG DoublePlay was a disaster of a smartphone in 2011. It relegated the secondary display to multi-tasking duties for a limited selection of native apps. And on top of that, the secondary display effectively split the landscape keyboard in half, thus reducing its effectiveness compared to a standard landscape QWERTY. 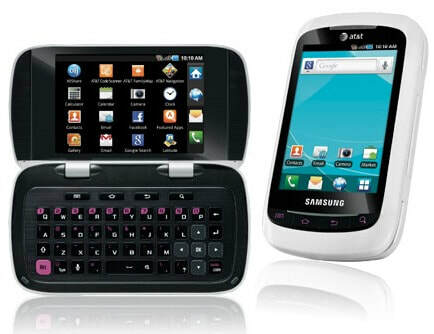 ​Rivaling the LG DoublePlay was the Samsung DoubleTime with a clamshell design featuring two 3.2-inch touchscreen displays, one on the outside and one that opened up alongside the QWERTY keyboard. Unfortunately, the displays were washed out, the phone was generally sluggish, and its battery life was on the weak side and was soon forgotten. ​The Samsung Galaxy Golden was also one of those phones that never saw the light of day outside its home market. Fashioned with nostalgia in mind with its flip phone-esque design, the Samsung Galaxy Golden came with dual 3.75-inch AMOLED displays, a Snapdragon 400 processor, 2GB of RAM, and two cameras. A traditional dial pad and physical buttons accompanied all of that. The 2011 Acer ICONIA 6120 was a dual-screen tablet/PC, essentially a prelude to the Microsoft Surface with all the bells and whistles of any ordinary laptop at the time. It ran Windows 7 Home Premium a while before Microsoft fully committed to a touch-optimized interface, which is partly to blame for its troubles. It was a traditional Windows desktop experience with some touch elements thrown in for the novelty. The extra secondary screen acted as the on-screen keyboard. The Acer ICONIA 6120 was just a bit too ahead of its time, but this dual-screen laptop wasn’t convincing about its advantages as a foldable mobile device. The short history of these devices shows the difficulty of building a foldable device without a foldable display or a multi-window UI. Now, this technology exists and is on the cusp of becoming a Very Big Deal in the tech industry, in marketing and research terms. Manufacturers think flexible is a fantastic idea, but the pressing question is how much real-world appeal the hardware really has. Matthew Cockerill, creative director and head of studio London at Swift Creatives, says that, beyond the obvious benefit of putting bigger smartphones in our pockets, "with a nascent technology there are always more questions than answers. This technology is an innovation trigger for brands and designers who have to work out what the value of these products are for users." The real challenge, he says, is to make folding tech viable once it's no longer a novelty: "In a plateauing smartphone market, it certainly offers an opportunity to reinvigorate the category." Luke Miles, co-founder and creative director at New Territory, says that, "in terms of our living spaces, there is an opportunity to create a whole new category of objects that are more empathic to these environments. TV’s have always been thought of as traditional, black boxes that hang from the wall or sit on a stand, but folding screens would allow us to develop them, so they blend more elegantly into an interior. "Even if the first generation of TVs, like LG's 65in Signature OLED TV R, just roll away neatly into their bases, it's a look that'll appeal to fans of minimalist or unobtrusive decor, as well as meaning that there'll be fewer concerns about accidentally knocking over a large and fragile screen when it's not in use. Royole has embedded flexible displays in hats and t-shirts. Although TVs and phones are the glamorous headline items when it comes to flexible displays, there are plenty of other applications for the technology. Luke Miles says that folding screens mean we could create more ergonomic and responsive wearables: "the strap and technology would no longer need to be separated as they are today. They could essentially become flexible, living surfaces that contract and expand in tandem with your body, allowing you to move more freely. This would also have positive implications for the way in which data is collected via these devices." There's also huge potential for flexible displays in the automotive sector, he adds: "Screens and information that can seamlessly transition from in front of the driver or passenger to either side of them. This will be particularly useful when autonomous vehicles begin to play a larger role in society. Passengers will begin to spend their time differently when travelling, so new types of interaction and information will need to be delivered." Craig Bunyan, lead creative technologist at Seymourpowell, says that there's a durability argument for flexible display tech, too: "It might be less seductive than rolling up your laptop and putting it in your pocket, but the last few generations of large-form-factor smartphones have been plagued with bending problems. At its most basic, flexible screen technology could mean that we can actually sit on a 6in smartphone and not break it." In the case of potential fully flexible devices of the future, such as the next evolution of wearable tech, manufacturers will have to consider the positioning, construction and materials of other components. However, flexible graphene batterytech is also in development. Ultimately, Bunyan says, it's not just screens that'll have to flex: "Any device which is to take full advantage of a folding screen must also make it possible to bend and flex the associated electronics behind that screen." Samsung:Samsung's Infinity Flexoriginates with its displays division, based on flexible AMOLED technology first demonstrated in 2011. Its 7.3in foldable display with a 1,532x2,152 resolution at 360PPI (pixels per inch) is what we'll be seeing in future folding smartphones. Samsung is the most serious contender when it comes to having the ability to mass manufacture folding phone screens right now. Royole:Display-making startup Royole launched its FlexPai with a 7.8in 1,920x1,440 (308PPI) AMOLED display, effectively demonstrating its folding screen tech, but also makes the Flexible+display range for wearables. BOE:currently developing some impressive high-resolutionfoldable screens. Its device manufacturing partners reportedlyinclude Huawei, along with two other unnamed device makers. Visionox:a major player in the Chinese foldable market, partneringwith smartphone maker Nubia to create the Alpha. The Alpha, a long, slim foldable device that transforms from a skinny phone into a wrap-around smartwatch, appears to have missed its projected 2018 shipping date. Lenovo:Lenovo-owned Motorola, meanwhile, is reportedlyplanning to bring back its iconic Razr flip phone as a high-end folding Android device. 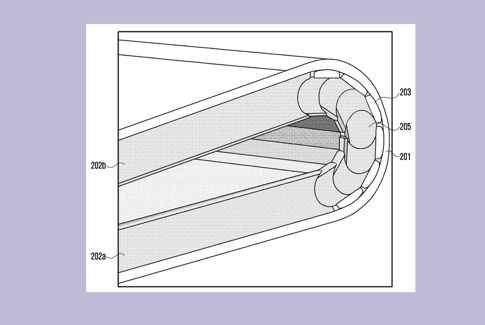 Lenovo has demonstrated a number of foldable phone prototypesover the years, but the flexible display-manufacturing partner is still unknown. Huawei: Confirmed at a pre-MWC 2019 briefing in Beijing that it will unveil a high-end foldable 5G smartphone at the mobile show. Richard Yu, the CEO of the Chinese company's Consumer Business Group, didn't mention the name of the device or reveal details about how it would fold he did say that the upcoming foldable phone will use a new 5G modem, the Balong 5000 that is integrated into Huawei's next-generation flagship mobile chipset, the Kirin 990—the successor of Huawei's current top-of-the-line processor, the Kirin 980, which powers the phone maker's flagship smartphone, the Mate 20 Pro. The early promise of foldable phones has always been about eliminating the need for tablets. Tablets might technically be a unique form of device, but as so-called “phablets” became the norm, the lack of any real differences between phones and tablets has become more and more obvious. A tablet’s OS and apps need to be tailored to its big screen, but that screen is its only real distinguishing factor. That big screen makes them better for drawing, watching movies, or browsing the web, but it’s also pretty unwieldy for basic productivity tasks like typing, unless they are placed on a surface or connected to a physical keyboard like the iPad Pro and Pixel Slate. Smartphones, meanwhile, need to be capable of replying to a dozen WhatsApp messages without a table in sight. It goes without saying, but tablets are also terrible at fitting in pockets. These issues are why tablets and phones co-exist as separate device types. Foldable phones could change this. Done well, folding phones could offer all of the functionality of a tablet, without losing the convenience or flexible productivity of a phone. Yet another contender in the battle of form factors is the nu.oio., Nubia’s wearable smartphone, expected to be announced at MWC. ​Nubia, which started off as a subsidiary of ZTE, will be launching a flexible device that won’t be ‘foldable’. Instead, it’ll come with a ‘flexible’ screen and fall under the wearable category, which classifies it as a smartwatch. If my experience with Apple’s Watch 4 is any indication and the Nubia comes with a larger display and more features, it could be competitive with smartphones in general.